Nobody likes paying utility bills—I sure don’t. But some people pay more than they have to by relying on inefficient heating and cooling methods. A standard gas furnace may work to heat up a home quickly, but it’s not going to save you any money in the process. Even buying one of the high-efficiency models is going to cost you more than you have to pay. If you’re looking for ways to save on your utility bill, a good solid option is investing in a heat pump. A heat pump is one of the most efficient ways to heat and cool a home, and a quality unit won’t cost you much more than a standard furnace. When using electric heat pumps around your home, it’s possible to cut your heating costs by up to 30 percent. That’s because heat pumps are more efficient than gas or electric heat. Heat pumps, by their very definition, move heat from one place to another, but they don’t actually create that heat. When you heat your home with a heat pump, you’re taking some of the hot air from outside and moving it indoors. I know, I know—when you’re interested in heating your home it’s most likely cooler outside than indoors, but that doesn’t matter. A heat pump can pull heat from cool air and still warm up your home, even when it’s cooler outside than in. If you’ve ever owned a refrigerator or freezer, you’ve witnessed a heat pump in action. When a heat pump runs, a compressor is used to pressurize refrigerant so it will evaporate and pull heat from the air it’s in. The refrigerant would be forced to evaporate outside during the winter to pull heat from outdoors. It would be forced to evaporate inside in the summer to pull heat from the home. That gas is then forced through a series of expansion chambers that lower the pressure and allow it to turn back into a liquid and give off that heat. The process of pressurizing and depressurizing the refrigerant helps the system move heat from one location to another very efficiently. On top of helping you cut your heating costs, many heat pumps also double as cooling devices that can be used to lower the temperature of your home. It’s possible to use some heat pumps to remove heat from your home, as well as bring heat into your home, depending on what you’re trying to achieve. That means you can accomplish both cooling and heating tasks with one unit, which typically isn’t possible when you rely on a standard furnace to heat your home. This is especially valuable when you have a compact location that you want to heat and cool, but it can also help you save money on equipment and maintenance. Another benefit of using heat pumps around your home is that you get a more even heat source than you would with a furnace. Most furnaces heat a home with blasts of hot air and then take quite a while to cycle back on again, allowing the temperature to dip down. 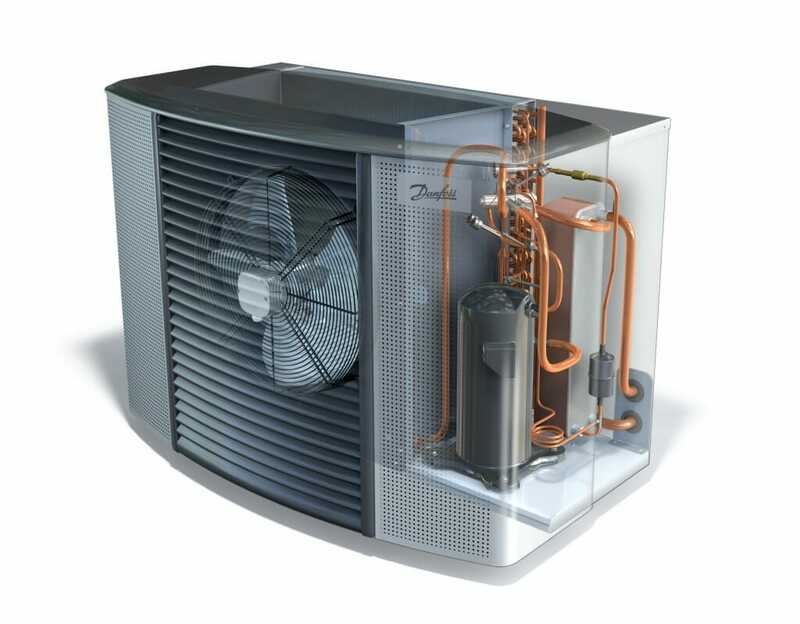 Heat pumps offer a more even heat dispersion, which most people find to be more comfortable. If you’re hoping to keep your home warm in arctic temperatures using a heat pump, you’re going to be disappointed with the results. While heat pumps deliver plenty of heating power all the way down in the high teens, as temperatures dip down farther than that, there isn’t much heat left in the air for a pump to move from outside in—which makes the pump much less efficient. When temperatures are cold enough, a heat pump will no longer be able to keep your home warm enough, and running it isn’t going to save you any money. That’s why if you live in a climate that drops below freezing during one point of the year, you’ll need to have a backup form of heat. Whether that’s a traditional furnace, a wood stove, a pellet stove or something else is up to you, but you’ll need another method to heat your home when it’s particularly chilly outside. That doesn’t mean that a heat pump won’t do you any good. When the weather is warm enough you can still benefit from the energy savings of a heat pump—you just won’t enjoy those benefits all year round. If you live in a very cold climate, or you want an even more efficient heating and cooling option, it’s worth considering a geothermal heat pump instead. This type of unit transfers heat between your home and the ground, or your home and a nearby water supply instead of the air. This type of system is known for being more efficient because the ground or ground water have nearly constant temperatures no matter what the weather is like. A geothermal heat pump can save up to 60 percent in energy costs over time. Geothermal pumps also allow those who live in very cold climates to still benefit from heat pump efficiency because the ground is generally much warmer than the cold air up top. Heat pumps are an excellent way to cut energy costs, and they offer some comfort and convenience benefits as well. Most heat pumps are comparable in price to a furnace—and while they might cost you a bit more initially, the energy savings you enjoy will help pay for those differences in no time.